There aren't many better solutions to deal with ice and snow on your roof than heat tape. 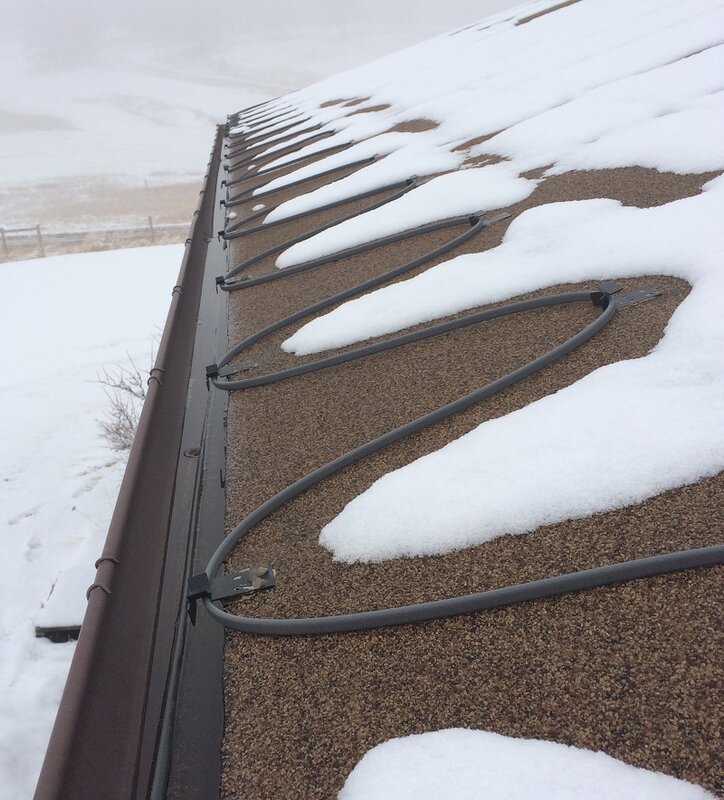 When the weather gets below freezing - as it does quite often here in Colorado - ice and snow build up on your roof and gutters as water freezes. This causes the build-up of what are called "ice dams" which prevent the proper runoff of water, and can mostly or completely negate the effectiveness of your gutter system on your home. Heat tape installation is one way to prevent this. It is a heating cable that runs along your roof and gutters where the ice buildup is the worst,. One flip of a switch and the heat tape is heated up, breaking and melting ice in no time. Some heat tape systems are even able to be connected to your thermostat so you can set it from inside or automatically. At Loveland Gutters, we are experts in heat tape installation and know all of the different options so that you get the best system for your home. Our technicians are able to come to your home (or business) and identify problem spots for build-up of ice dams, and install heat tape quickly and affordably. The importance of heat tape cannot be understated if you have issues with ice dams. Without proper water runoff, your roof or structure could get damaged, which will end up being much more costly than a simple heat tape installation. Should you have any difficulties on your roof, contact your local roofing contractor. So what are you waiting for? If you have issues with ice dams, or you'd like us to come out and take a look at your roof and gutters, give us a call! Loveland Gutters looks forward to being your trusted, local gutter company in Loveland!